Styling is in the hands of Aidan together with the talents of a finely-honed Creative Team which boasts international experience. This team are trained to a standard employed by the most noteworthy European and UK Salons and includes superb aftercare services. To experience the excellence, treat yourself to the professionalism of Aidan and his Team’s award-winning services. Aidan’s vast experience is as much based on the manner in which your personal consultation takes place, the warm and intimate ambiance, and the amazing results. To experience a Stress-Eliminated Visit to the Salon is to experience passion in a luxury environment. Our Private Suite can be booked for Weddings, Corporate, and Private Parties. The cost includes Champagne Breakfast, Pre-Trial Up-Styles, Blow-Dry or Dressing and much pampering. Please see price list for full details. Raw passion fuels the fundamental ethos which has driven Aidan Fitzgerald to grow his popular business. In 2003 Aidan was awarded the prestigious first-ever ‘Award of Excellence’ in Britain and Ireland from the Good Salon Guide. For more details on Aidan Fitzgerald read his profile page here. 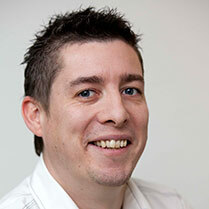 Stephen is our Creative Director with over 25 years’ experience. He trained in Belfast and competed in Milan on the Ireland Team winning a Silver Medal. 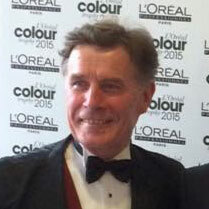 Stephen specialises in cutting and styling. Gio is from Argentina and trained in “Alexander De Paris” school in France. He then went on to gain more experience in many European countries including Italy and London and in the United States. Gio has settled in Dublin where he continues to share his skills, specialising in cutting and long hair up styling and dressing. Vedran trained in the internationally renowned Dessange Salon in Zagreb, Croatia. 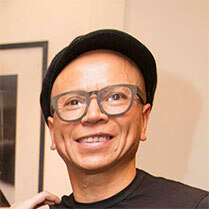 He has collaborated on many music videos, magazines and events as a stylist. 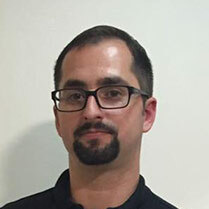 Vedran has 16 years experience specialising in cutting. Viktorija achieved her master’s degree in Hairdressing in Osijek, Croatia. She opened and managed her own salon in Osijek for 6 years. Viktorija decided to travel Europe to add to her experiences. 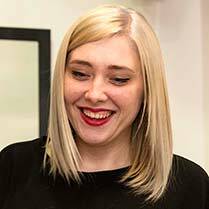 Viktorija is a valuable addition to our team and specialises in cutting, styling, up styling and creative long hair dressing for special occasions.